On this day government buildings are closed, schools and most businesses in the country. Celebrations of all kinds and ceremonies taking place throughout the country, from small towns to major cities. Children around the country prepare for different weeks Competitions, parades and all kinds of activities (theater, Concerts, sports competitions, etc.) . They organize activities with children from different countries of the world. Parades and performances are organized in different parts of cities. On this day this traffic may be affected, especially his travels as many streets are cut this day. The truth is that is funny and emotional look like children dressed in costumes designed especially for this day parade and participate in various ceremonies, pride to their families and thousands of spectators. The cities are decorated and covered with flags, large balloons and posters for children everywhere, usually holding hands in a circle and, symbolizing the unity of the country. 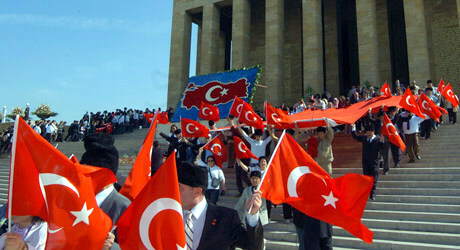 The most important event takes place in Ankara, frente al Mausoleum of Atatürk. People go massively and wreaths are laid by all sites. 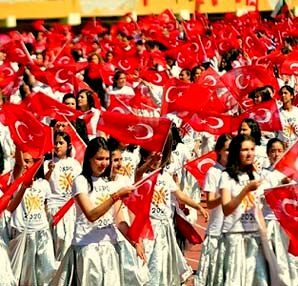 If you have known us by little all this display of patriotism and festivities and want to go to a real festival, nothing touristy and very curious, I recommend the “Mesir macunu Festivali” that takes place in Manisa. Previously, we have spoken on the blog of this curious sweet, the mesir macunu. The mesir macunu is a paste composed of more than 42 various spices and plants. It has one of the flavors and textures preferred by the Turks for over 5 ages. people dress in traditional costumes of the period and placed in front of the mosque to collect mesir paste, that flows from the top, wrapped in different colors. This Festival has been declared as an act of national interest. Although the dates for this year are the 25 to the 27 April, many acts have also started today. This year the Festival will be number 474, as you see the longstanding tradition. Also concerts and exhibitions are held during these days that attract many people these days. 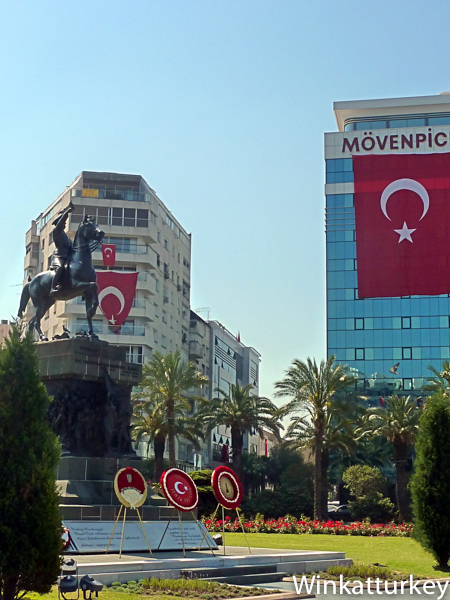 Manisa is a framed city in a beautiful place with a very interesting series of buildings. Tons of mesir macunu are thrown from the minaret of the mosque “Sutan camii”, opposite the famous Muradiye mosque. Every one tradition the story of healing. I recommend you try, the taste is incomparable and unique. The pasta sold in the form of candy and other formats. I especially like the lokkum. If you want to participate in life and Turkish traditions, imbibe anything like this crowd.